MAMMA MIA! It's the Puff AVATAR FX! The only thing you need to know about the Avatar FX is that you want it! HAVEN'T REGISTERED YET? JUST SIGN UP AND CONFIRM YOUR EMAIL AND YOU ARE READY TO PARTICIPATE IN THE GIVEAWAYS! The winner of the lottery #1108 for MAMMA MIA! It's the Puff AVATAR FX! was alina arcuri from sassocorvaro, Italy on Dec 3, 2018. 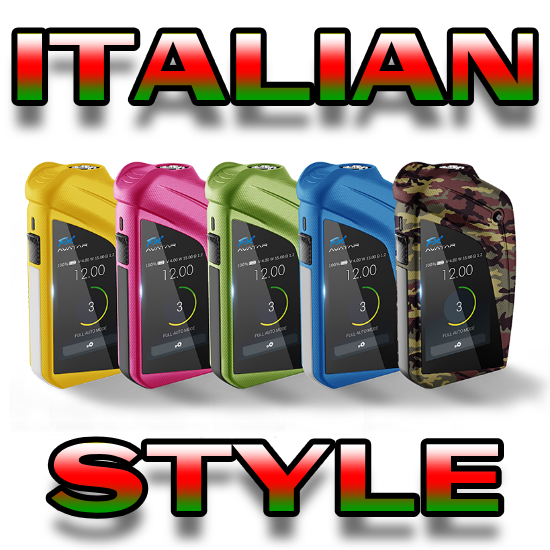 From the Italian ecigarette giant Puff Italia comes Avatar FX - and it's not just an awesome screen! The Avatar FX represents extreme attention to technical details and an obvious dedication to esthetic beauty. The Avatar FX is a purely Italian design from top to bottom; you are guaranteed top quality materials, workmanship and vapor. You can vape between 1V - 8V and 7W - 30W, plus it fires all the way down a very impressive 0.3 ohms. As far as customization goes, each and every part is changeable. Every part and function is designed and engineered to utter perfection. The Avatar FX is simply best mod in its category, from looks to performance! Thank you for being a part of Lucky Vaper. Remember to share the giveaway using the social media buttons on the site - IT'S WHAT WINNERS ARE DOING! If you wish, you can vape using the variable voltage mode. 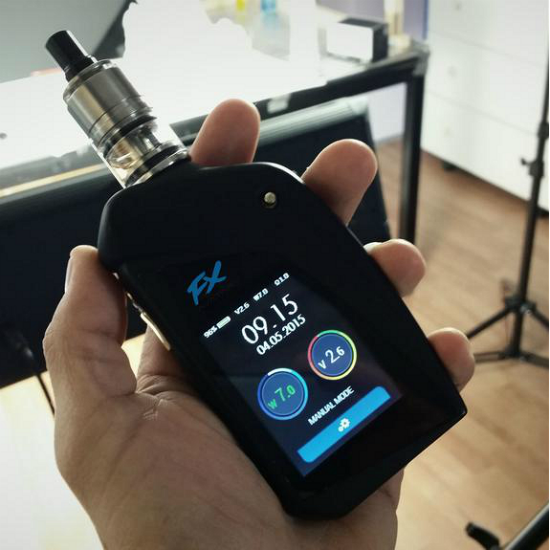 In the variable wattage mode, the Avatar FX automatically adjusts voltage output so you don't have to change the voltage level manually - an overall very convenient and useful feature! Considering it fits beautifully in your hand, the 30W maximum power output is quite impressive as well. With the Avatar FX, you are guaranteed top performance at all times. The low sub ohm level is also noteworthy; the Avatar FX fires all the way down to 0.3Ω for one of the best sub ohm vaping experiences in the 30W box mod class. 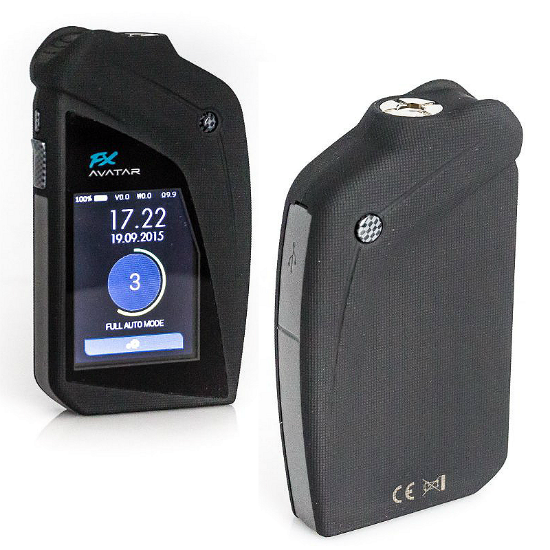 You can even choose from 5 pre-set levels to vape at. If you choose the automatic mode, the device automatically calculates optimal output levels for the attached clearomizer and adjusts settings by itself. The screen is very fast to boot up, the menu is super easy to navigate, and customizing is as simple as it can be. The features are endless - the Avatar FX is also a portable power source. It sports an adaptive micro USB port that delivers a minimum of 500mAh up to a maximum of 2.1A. 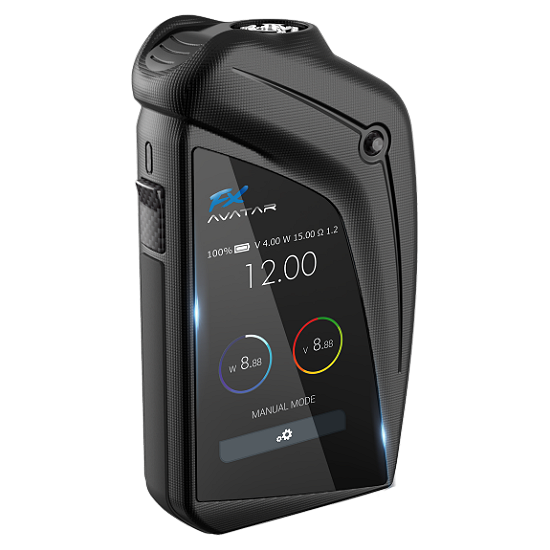 Depending on the product that you want to recharge, the Avatar FX calculates the electrical needs of the device and provides exact amperage. The powerhouse 2500mAh battery can easily take you through the day without a charge. When it needs a charge, you simply plug it into a USB port, and that's it. Even the operating system (OS) is upgradable, a brilliant feature made possible by a cutting edge chipset - your FX will never be out of date. The OS is exclusively designed for the Avatar FX. It manages the entire device and makes it very easy and comfortable to use with an intuitive user interface, all thanks to a whopping 6.1 cm (2.4") screen. The screen is built to the highest standards in LCD technology; it offers 262K colors RGB and has an incredible 240x320 resolution. You can change any setting you want, including language, output levels, date and time and much more. Quality is guaranteed, too. Inside the box you'll find a card with a unique code you can use to verify the authenticity of the product. Avatar FX - the mod of the future!